President and co-founder attended Youngstown State University and has worked in the retail, catalog, and software industries for over 30 years. From 1983–1994, Jeff served as president of Nashbar/Associates, Inc. (NAI), a provider of turnkey catalog management systems. From startup, NAI grew to an installed base of approximately 125 large installations in over 30 states. Jeff balances a strong business and technological background. Working with over 100 catalog companies has given him a strong knowledge base. 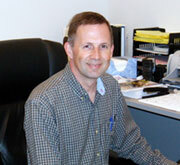 Jeff works closely with our software development and support staffs, helping with functional design issues. 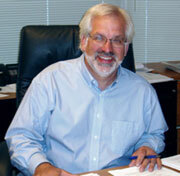 In addition, Jeff continues to consult directly with customers on key projects and implementations. Bryan graduated from Indiana University of Pennsylvania with a MIS degree. He has 25 years of IT experience. Bryan co-founded PSG in 1994 along with Jeff White. His experience in software application development covers many different types of applications including 10 years in legal timekeeping and billings systems and 15 years of catalog development management and eCommerce systems. At PSG, Bryan leads his team in the development, implementation, and support of our eCommerce initiative. His knowledge of eCommerce systems, order management systems, and direct marketing is invaluable in providing the integration tools necessary to connect our eCommerce suite of products to our client’s back office systems. As digital marketing and mobile shopping continue to evolve and our clients continue to ask for new eCommerce features, Bryan’s group continues to broaden our product reach using the latest, proven technologies. Our Team is here to Partner with You! For over two decades, PSG account managers, developers, and support staff have worked together to help our clients innovate and grow business operations by providing expert advice, custom software, smart integrations, modern digital designs, just-in-time training, and support with a personal touch. In fact, PSG's expert team of information technology professionals has partnered with mid-size to large multi-channel merchants from various retail and wholesale markets to build software systems, customizations, and integrations for their order processing, order fulfillment, inventory control, warehouse management, customer relationship management, sales analysis, and forecasting.